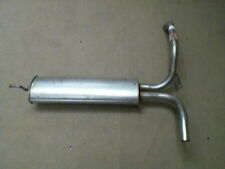 Exhaust Rear Silencer for 107 1.0 2005 - 08.2009 998 68 50 JA 1KR (384 F) 3003/ACR. Mounting kit C1 (PM_, PN_) 1.0 2005 - 08.2009 998 68 50 JA 1KR-FE 3001/ACO. This is a part from TOYOTA AYGO. Model:AYGO X-CITE. Fuel Type:PETROL. Body Type:5 DOOR HATCHBACK. Driver Position: RIGHT HAND DRIVE. Gearbox: 5 SPEED MANUAL. Body Colour: YELLOW. Body Colour Code: 5B9. UNIVERSAL TWIN TIP STAINLESS STEEL EXHAUST BACK BOX. 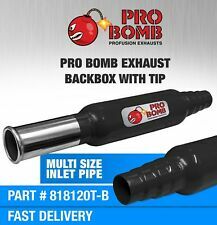 New Universal Stainless Steel TWIN Tip Exhaust Back Box with Pipe Fitting Kit -. TWIN Tip Stainless Steel Exhaust Box. Turborevs Ltd was established in 2006 out of our passion for modified cars. PEUGEOT 107 1.0 Petrol 68bhp CFA (384F), CFB (1KR) Hatchback 2005-06->. The image should help you identify the part you need. Where available we show fittings in the picture so you can see where they fitted. Toyota Aygo - 1.0 12V 02.2005-05.2014 51/69. Citroen C1 - 1.0 12V since 2005-. 50/68. In addition, silencers are made of double sheets steel, creating a"silencer in the silencer" - to extend the life of the silencer! Not interested in spending over 100£ on a single silencer?. We have the perfect solution for you. 107 Hatchback 2005 - 2016. Wind Deflectors. Boot mats with anti slip. Exhaust systems. Exhaust with mounting kit. 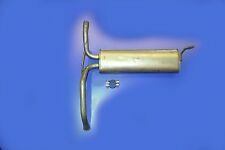 EEC ECN549 EXHAUST SILENCER. The image should help you identify the part you need. Where available we show fittings in the picture so you can see where they fitted. We do however list a fitting kit or individual fitting for you car. Blue Print Exhaust Pipe Toyota Aygo Peugeot 107 OE Quality ADT36016 - Free Delivery from Simply Car Parts - Brand New BluePrint part - 3 Years Manufacturers Warranty. UNIVERSAL PERFORMANCE BACKBOX EXHAUST. These are free flow unrestricted exhaust back boxes. OUTLET 3" (Single). INLET 2.25" (3 STEP REDUCER PROVIDED). Excludes scottish highlands, ireland & northern ireland. Direct Fit Rear Exhaust Silencer Back Box. 1 x Direct Fit Rear Exhaust Silencer Back Box. This Direct Fit Rear Exhaust Silencer Back Box fits the following vehicles. Peugeot 107. Specialist Parts Advisers Ready To Help! UNIVERSAL PERFORMANCE BACKBOX EXHAUST. These are free flow unrestricted stainless steel exhaust back boxes. Quality grade stainless steel. Accessories such as brackets and fixings. Excludes scottish highlands, ireland & northern ireland. AYGO (WNB1_, KGB1_) Hatchback 2005 - 2016. Not interested in spending over 100£ on a single silencer?. We have the perfect solution for you. Wind Deflectors. Boot mats with anti slip. Exhaust systems. Part No : ADT36016. TOYOTA AYGO 2005-14 1.4DT H/b - D-4D FWD 5 MTM 2WZ-TV WNB10 05/05>12/11. CITROEN C1 2005-14 1.4DT H/b - HDi FWD 5 MTM DV4TD 8HT 02/05>12/11. Fitting Position : -. Quality & Precision. CITROEN/PEUGEOT 1726XY, 1726XZ, 1730H0, 1730JF. PEUGEOT 1726XY, 1730JF. PEUGEOT 107 1.0 Hatchback Petrol 06/2005 on FWD 12 68 50. Construction year to: 08/2009, Organisation number to: 11953 ^^ Construction year from: 08/2009, Organisation number from: 11954. Direct Fit Rear Exhaust Silencer Back Box. 1 x Direct Fit Rear Exhaust Silencer Back Box. This Direct Fit Rear Exhaust Silencer Back Box fits the following vehicles. Peugeot 107. Ready To Help! Engine Fuel Body type Start year End year BHP Engine No. 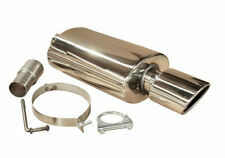 UNIVERSAL PERFORMANCE STAINLESS STEEL TAILPIPE TRIM 2.5" INLET. This is a Single Left Twin high quality Universal Performance Stainless Steel Exhaust Tailpipe Trim with 2.5" Inlet & 115x70 mm Outlet. 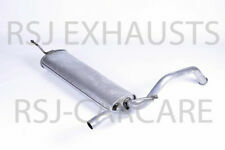 EXHAUST PIPE fits TOYOTA AYGO Hatchback - 05> - EXH143013. Removed from a 2010 PEUGEOT 107 998cc. We Do Not Cover Any Labour Costs Involved With Fitting Or Removal Of Any Parts. We do not cover labour Costs. Warranties cover Parts Only and only apply if parts are fitted by a recognised independent specialist or approved dealer. Klarius Rear Exhaust Back Box Silencer Tail Pipe. Search “Klarius Online Catalogue”. Fitting Position: Rear. Any information in the compatibility table is for reference only and there may be unspecified choice options. UNIVERSAL PERFORMANCE BACK BOX EXHAUST. These are free flow unrestricted exhaust back boxes. Quality grade steel. Tailpipe height - 125 mm. Excludes scottish highlands, ireland & northern ireland. Part No : ADT36017. TOYOTA AYGO 2005-14 1.4DT H/b - D-4D FWD 5 MTM 2WZ-TV WNB10 05/05>12/11. CITROEN C1 2005-14 1.4DT H/b - HDi FWD 5 MTM DV4TD 8HT 02/05>12/11. Fitting Position : -. Quality & Precision. At A to Z Autoparts, we have knowledge of the A to Z of Car parts and accessories. With a combined experience of over 40 years, we can ensure that we will find the right part for your car. We carry every part for every car. TOYOTA AYGO 2005-14 1.0i H/b FWD 5 MTM ATM 1KR-FE KGB10 02/05>08/09. 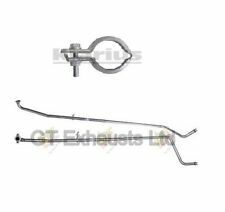 CITROEN C1 2005-14 1.0i H/b FWD 5 MTM S/ATM 1KR-FE P CF 02/05>08/09. PEUGEOT 107 1.0i H/b FWD 5 MTM S/ATM 1KR-FE P CF 02/05>08/09.